If you guys are looking to inspire those #lifegoals, you need to check out mommy blogger, Cindy Alfino, who blogs over at 3 Kids 2 Dogs and 1 Old House. For starters, Cindy and her fam could totally moonlight as clothing catalogue models. And secondly, they are always off on an adventure somewhere! 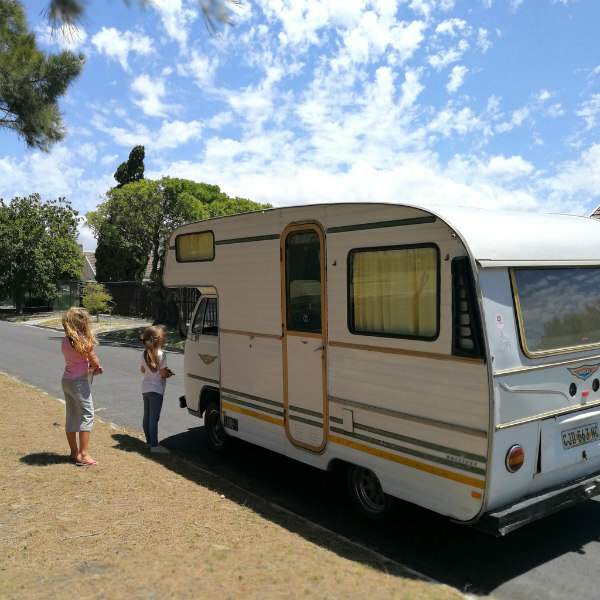 In fact, a few days ago, the Alfino’s announced that they will be taking a gap year of sorts, to trek across South Africa in their 1978 VW Jurgens Campervan! Madness? Uhhh, yes! Super duper legit? Uhhh, heck yes! Cindy’s blog is not just your average parenting blog. She is a really amazing writer and each post is filled with a dash of humor and quirk, that speaks right to my spreadsheet heart. 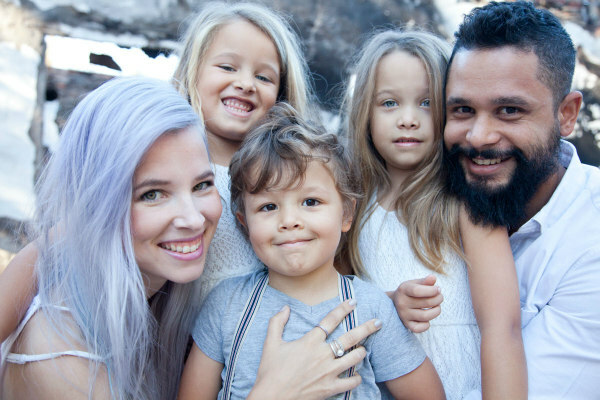 She started the blog way back in 2010, after the birth of her second baby, as a way for her to document the special memories made with her little ones. Besides for posting about mom life, Cindy also tackles sensitive issues such as marriage and her battle with her skin. She also covers things like travel, home decor and parties/events…. all from a parenting aspect. “Basically our day to day lives and the things we get up to – both the good and the bad.” she explained. When asked what the most challenging part of blogging is, she said: “Time. It takes SO MUCH time to create good quality posts worth reading.” She admits to being her own worst critic (aren’t we all, you guys). The thing about being a blogger is that you place yourself in such a vulnerable position when you share your personal struggles, wins and losses. For some of us, it means taking the bucket load of poop that resemble your thoughts, and then dumping it into a blog post, in an attempt to connect with other mums who might be feeling the same way. Or it could mean trying to make sense of the sitcom that is your daily life, by putting it all down on paper. Or, in Cindy’s case, it could mean carefully documenting the small moments in an attempt to somehow keep the memory alive somewhere out there, on the interwebs. Cindy’s pretty much a rock star in the blogging community. In 2014 she hosted the very first #CTMeetUp – an annual blogger event, for influencers based in the Western Cape – to hang out, connect, eat all the food and learn from industry experts. She has been featured in Living and Loving, Spar Savour, Marie Claire and had a brief stint, with kiddies en tow, on SABC 3’s The Weekend Edition sometime last year. The Alfino’s will be hitting the road in July-ish. Make sure you’re following them on social media and on the blog to see what they get up to! How to celebrate a birthday – well, kinda! I love getting to know everyone better. I am SUPER excited to follow Cindy ans her family’s travels. It sounds like the most amazing adventure and when I toldy husband that it’s something I think will be fun to do, he nearly fell over. He didn’t expect me to be up for something like that. So I’ll be making him read and watch Cindy’s YouTubes to inspire him.